For lots of different reasons, this year I did not go out on as many adventures as was true in past years. However, there is no problem in selecting several photographs I’ve taken since the last web page update. Our fall in Grand Marais had bizarre weather. In September, we had several days with temperatures … Continue reading "Current Grand Marais Scenes December 2018"
This web page update covers from late April through the beginning of August. We experienced a late winter storm in April, so there was still some ice hugging the Lake Superior shoreline. While visiting Sable Falls with friends, we noticed a failed attempt by beavers to fall a tree. In the spring the deer are … Continue reading "Current Grand Marais Scenes August 2018"
NOTE: More Grand Marais scenes are posted often on my blog at www.agatelady.blogspot.com and on my main personal Facebook page listed under Karen Ann Penegor Brzys. I love taking photos in the Grand Marais area all times of the year, but I think I like winter photos the best. But the first photo included in this webpage … Continue reading "CURRENT GRAND MARAIS SCENES: April 2018"
NOTE: More Grand Marais scenes are posted often on my blog at www.agatelady.blogspot.com and on my main personal Facebook page listed under Karen Ann Penegor Brzys. For this webpage update, I have selected some of my favorite pictures that I took in the Grand Marais area between August and November. To begin here are a couple of … Continue reading "CURRENT GRAND MARAIS SCENES: December 2017"
NOTE: More Grand Marais scenes are posted often on my blog at www.agatelady.blogspot.com and on my main personal Facebook page listed under Karen Ann Penegor Brzys. For this webpage update, I have selected some of my favorite pictures that I took in the Grand Marais area between the end of March and mid-July. First, here are a … Continue reading "CURRENT GRAND MARAIS SCENES: July 2017"
NOTE: More Grand Marais scenes are posted often on my blog at www.agatelady.blogspot.com and on my main personal Facebook page athttps://www.facebook.com/karen.brzys. For this webpage update, I have selected some of my favorite pictures that I took in the Grand Marais area between September and February. First, here are a few fall photos. One of the first snow … Continue reading "CURRENT GRAND MARAIS SCENES: March 2017"
NOTE: More Grand Marais scenes are posted often on my blog at www.agatelady.blogspot.com and on my main personal Facebook page at https://www.facebook.com/karen.brzys . I also post agate photos, shared mostly on various Facebook rockhounding sites, to the museum’s Facebook page at https://www.facebook.com/pages/Gitche-Gumee-Agate-and-History-Museum. For this webpage update, I have selected some of my favorite pictures that I took in the Grand … Continue reading "CURRENT GRAND MARAIS SCENES: June 2016"
NOTE: More Grand Marais scenes are posted often on my blog at www.agatelady.blogspot.com and on my main personal Facebook page at https://www.facebook.com/karen.brzys . I also post agate photos, shared mostly on various Facebook rockhounding sites, to the museum’s Facebook page at https://www.facebook.com/pages/Gitche-Gumee-Agate-and-History-Museum. For this webpage update, I have selected some of my favorite pictures that I took in the Grand … Continue reading "CURRENT GRAND MARAIS SCENES: November 2015"
NOTE: More Grand Marais scenes are posted often on my blog at www.agatelady.blogspot.com and on my main personal Facebook page at https://www.facebook.com/karen.brzys . 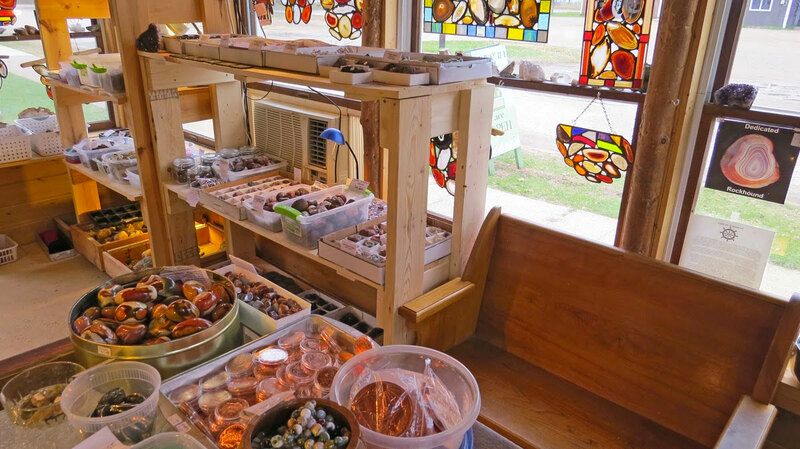 I also post agate photos, shared mostly on various Facebook rockhounding sites to the museum’s Facebook page at https://www.facebook.com/pages/Gitche-Gumee-Agate-and-History-Museum. For this webpage update, I have selected some of my favorite pictures from the late winter and early … Continue reading "CURRENT GRAND MARAIS SCENES: June 2015"
For those of you who miss the monthly updates to this webpage and have not checked out other Internet sites at which I post photos on almost a daily basis, please check out my blog at www.agatelady.blogspot.com. I also have Facebook pages. Unfortunately, there are more than one. My main personal Facebook page is at https://www.facebook.com/karen.brzys . I … Continue reading "CURRENT GRAND MARAIS SCENES: February 2015"
I would like to thank everyone again for the positive comments about the pictures I post on the blog at www.agatelady.blogspot.com, as well as those I put on my personal Facebook page at https://www.facebook.com/karen.brzys?ref=tn_tnmn Sometimes, but not always, I duplicate a few of the photos between the two pages. This helps save time, plus there are different people … Continue reading "CURRENT GRAND MARAIS SCENES: September 2014"
I would like to thank everyone again for the positive comments about the pictures I post on the blog at www.agatelady.blogspot.com, as well as those I put on my personal Facebook page at https://www.facebook.com/karen.brzys?ref=tn_tnmn Sometimes, but not always, I duplicate a few of the photos between the two pages. This helps save time, plus there are different people … Continue reading "CURRENT GRAND MARAIS SCENES: April 2014"
First of all, I would like to thank everyone for the positive comments I get regarding the pictures I post on the blog at www.agatelady.blogspot.com. This year I have missed more days than last, but I still average posting an update at least six days a week. So for this web page update, I looked through … Continue reading "CURRENT GRAND MARAIS SCENES: November 2013"
I have not had a lot of time for hiking adventures this summer, but I have had a few great outings. After posting the last web page update in March, I did a series of snowshoes on the beach in front of Woodland Park. Here are some of the photos taken from March through April. … Continue reading "CURRENT GRAND MARAIS SCENES: August 2013"
Since the regular museum hours ended in September, I have spent all my free time when not at shows working on the Online Rockhounding Adventures. Thus, I have not executed a web page update. So for this update, I’ll include a few extra photos. Fall colors were spectacular last autumn. Some of the maple trees … Continue reading "CURRENT GRAND MARAIS SCENES: March 2013"
I must admit that the summer schedule did not allow much time to hike. This is the first year that I worked most of the hours, other than when I was away at shows. The blog keeps me honest, to a degree, so I was able to get some good shots to document the beauty … Continue reading "CURRENT GRAND MARAIS SCENES: September 2012"
I have been busier than normal the past few months, but I still make time to get out to hike and take pictures. I cannot afford the time daily, but I try to get out a few times a week. For this web page update, I am including a variety of pictures from the Grand … Continue reading "CURRENT GRAND MARAIS SCENES: June 2012"
This seemingly has been the winter that wasn’t. Sure we have had cold temperatures, but for the second year in a row, I did not register any readings at my house below zero. The coldest my thermometer read was around 2 degrees F. During most of the winter the high temperatures were in the 20s … Continue reading "CURRENT GRAND MARAIS SCENES: March 2012"
Winter has been slow to start up in the Grand Marais area. There are no official snowfall totals for Grand Marais, but there are for Marquette. We are down at least 30 inches of snow so far this winter. Only half of the ski runs are open at Marquette Mountain. Many of the snowmobile trails … Continue reading "CURRENT GRAND MARAIS SCENES: January 2012"
It was difficult to select pictures to feature in this update’s current Grand Marais scenes. If you would like to see others that I did not select, please visit my photoblog at www.agatelady.blogspot.com. We’ll start out with a shot I took the day before the full lunar eclipse, which happened on December 21st. I posted some … Continue reading "CURRENT GRAND MARAIS SCENES: Winter 2011"
It was difficult to select the photos I want to feature in this update. I must admit that I love taking pictures with my camera and because I have taken so many pictures these past few months (since the last web page update), I have thousands from which to choose. During the summer months, it … Continue reading "CURRENT GRAND MARAIS SCENES: September 2011"
It was again difficult to select pictures to feature in this update’s current Grand Marais scenes. Since I update the photoblog almost daily at www.agatelady.blogspot.com, there are a lot from which to choose. I decided to select pictures that capture the diversity of what you can see in the Grand Marais area if you are willing … Continue reading "CURRENT GRAND MARAIS SCENES: Spring 2011"
This has been an incredibly windy fall. The winds started Labor Day weekend and have continued off and on (but mostly on) for four months. In the Grand Marais area, we have had a few storms with wind speeds over 60 mph; one storm clocked winds at 84 mph! We also have had a fairly … Continue reading "CURRENT GRAND MARAIS SCENES: Fall 2010"
We went from a hot August to a cool and windy September. My busy schedule has not allowed time for a lot of hikes. However, I was able to snap off a few pictures while visiting friends around town. Since I didn’t have time to implement an August update, I’ll include pictures in this update … Continue reading "CURRENT GRAND MARAIS SCENES: August and September 2010"
The Grand Marais July 4th celebration was fantastic this year. The weather was warm, but a good time was had by all. I enjoyed visiting with a friend, Marsha Hendrickson, as well as my aunt and uncle, Lynne and Doug Kane. It is a challenge to get the timing right, especially with digital cameras that … Continue reading "CURRENT GRAND MARAIS SCENES: July 2010"
Since I now maintain the blog at www.agatelady.blogspot.com as well as this web page and include photos on both — I was originally going to separate photos and not duplicate. That is difficult so I’ve decided that the photos on this web page will be my favorite from those included during the previous few weeks on the … Continue reading "CURRENT GRAND MARAIS SCENES: June 2010"
CURRENT GRAND MARAIS SCENES April/May 2010 Other than the day we had some snow in early May, which melted right away, it has been a beautiful spring. As is true everywhere else, the trees are leafing out, the trilliums are up, rocks are again exposed on the beach, and the days are getting longer. This … Continue reading "CURRENT GRAND MARAIS SCENES: April/May 2010"
Since I update the blog www.agatelady.blogspot.com on a regular basis, I have decided that from now on any photos that I include in the regular web page update will be different than those that are included in the blog update. Of all the snowshoe and ski adventures I have been lucky enough to participate in this winter, … Continue reading "CURRENT GRAND MARAIS SCENES: April 2010"
Although we have had snow cover in Grand Marais since early December, the total snowfall amount is much less than in previous years. We’ve only had one big storm, which occurred around Christmas time. In January, we have only received a few inches of snow. There is still a lot of winter left; we will … Continue reading "CURRENT GRAND MARAIS SCENES: February 2010"
Travel has been occupying my time lately, so I have not been home enough to get out in Grand Marais very much. However, I do have a couple of fall color shots. During my travels this past year, I have been looking for roadside Americana art. I saw two examples on my recent trip. The … Continue reading "CURRENT GRAND MARAIS SCENES: Fall 2009"
This month’s featured photos include a mixture of scenes. First, I’ve included a few from Whitefish Point, taken last weekend when I was there with a booth and teaching agate classes. The first is a picture taken from my booth on the porch of the gift shop, looking out over the museum complex. I must … Continue reading "CURRENT GRAND MARAIS SCENES: September 2009"
On July 25th there was a lot happening in Grand Marais. At noon, the historical society had a ribbon-cutting ceremony for the new Post Office Museum. This unique 5-sided building served as the Grand Marais post office for many decades. The building was moved from its original site to Main Street last year and has … Continue reading "CURRENT GRAND MARAIS SCENES: August 2009"
Unfortunately, my busy schedule has not allowed me time to go hiking this past week. However, before that, we were able to hike in the dunes many a day. The bugs have been a bit of a challenge on some of the days, but bug shirts and bug hats allow us to be outside and … Continue reading "CURRENT GRAND MARAIS SCENES: July 2009"
When I left for my trips in late April, it was still winter in Grand Marais in that there were still five-foot snowbanks in my yard. When I arrived home two weeks later – the snow was melted, the flowers were beginning to bloom, and the trees were budding out. I’ll include a few of … Continue reading "CURRENT GRAND MARAIS SCENES: Spring 2009"
Although I have enjoyed cross-country skiing and snowshoeing this winter, I must admit that I am ready for spring. Even though spring officially has begun, we still have a lot of snow in the woods. The warmer temperatures have made the deep snow slushy, so we have been hiking and snowshoeing in the dunes for … Continue reading "CURRENT GRAND MARAIS SCENES: March 2009"
On this second to last day in February, it is another one of those old-fashioned winter blustery days. We received another foot of snow last night so the season’s total now exceeds 250 inches. Since the wind chill is well below zero, to document some of the snow I decided to just drive out to … Continue reading "CURRENT GRAND MARAIS SCENES: February 2009"
This has certainly been a winter for many people around the country, Grand Marais included. I have lived here since 1994 and this is the most snow I’ve seen for this time of year. As of about a week ago, our official total was almost 180 inches! It has also been a cold winter, although … Continue reading "CURRENT GRAND MARAIS SCENES: January 2009"
Winter has come early this year to many areas — including Grand Marais. Since my house sits up on a glacial hill, it is at the mercy of the wind all winter long. The wind piles the snow on the south side of the house. It usually takes all winter for the snow to pile … Continue reading "CURRENT GRAND MARAIS SCENES: December 2008"
Fall is an unbelievable time in the Upper Peninsula. The temperatures this past month or so have varied from 75 to 20 degrees. The winter season has begun, though, with a snow storm that dropped over 20 inches in some places. In Grand Marais proper, we received around 8 inches so far. As usual, the … Continue reading "CURRENT GRAND MARAIS SCENES: November 2008"
One of my favorite times to hike in the Upper Peninsula is during the fall season. Not only do the arboreal colors add to the splendor, but there are usually no other hikers and no bugs. The first picture featured this month is a Ghost Forest stump. The interpretive sign near Sable Falls’ dune walk … Continue reading "CURRENT GRAND MARAIS SCENES: October 2008"
Although September has still been busy with shows and custom orders, I have continued to hike in the dunes as much as possible. The goal this hiking season is to walk on all of the ridges in the dunes and with the hike yesterday, that goal has been completed. Next year, I want to try … Continue reading "CURRENT GRAND MARAIS SCENES: September 2008"
The weather so far this summer in Grand Marais has been like what I remember it was when I was a kid. Unlike last summer with the searing 90 degree days, the temperatures have been in the 70s during the day and 50s at night. Wonderful! Since there has been enough but not too much … Continue reading "CURRENT GRAND MARAIS SCENES: Summer 2008"
This month has delivered almost every type of weather. We have had temperatures range from the 30s to nearly 90. Despite the variation, though, I have kept up my exercise program and have spent a lot of time hiking in the dunes. While hiking, I took this picture of a downhill skier skiing down the … Continue reading "CURRENT GRAND MARAIS SCENES: June 2008"
This month’s Grand Marais Scenes feature photos that were taken while I’ve been on my daily exercise hikes. The first photo was taken from up in Grand Sable Dunes. It shows an interesting angle of the dunes with the breakwater in Grand Marais in the distance. The second picture shows my friend, Scott Wieting, as … Continue reading "CURRENT GRAND MARAIS SCENES: May 2008"
The current Grand Marais scenes for this month include pictures taken at the beginning of the month before I went downstate to conduct the Gitche Gumee Gatherings. As part of my continuing new exercise routine, I walked across Sable Dunes to get the picture of the dunes and iceberg row. I just love the dunes … Continue reading "CURRENT GRAND MARAIS SCENES: April 2008"
Winter just doesn’t want to leave the Upper Peninsula. Since the wind has been shifting, ice flows are moving around the big lake. In the first photo that was taken from Sable Falls Creek (second creek) looking back towards town, you can see all of the floating ice on the north side of the icebergs. … Continue reading "CURRENT GRAND MARAIS SCENES: March 2008"
This has certainly been an “old fashioned” winter. There has been one blizzard after another. It is a good thing that I am a cross-country skier who enjoys being outside in the winter. For if not, I would have missed just how beautiful the winter has been. One of the blizzards blew for over 30 … Continue reading "CURRENT GRAND MARAIS SCENES: February 2008"
If you have never been on the shoreline of a Great Lake when the lake-effect-snow-making machine cranks up, then you have missed an exciting weather experience. Most people don’t like snow, especially when it is coming down in a white-out event. However, the experience can be intense, as long as you don’t have to drive. … Continue reading "CURRENT GRAND MARAIS SCENES: January 2008"
Unlike last year when we had almost no snow until the third week of January, winter has started early this year. The pictures in this update include a couple taken in November on a hike to Au Sable Lighthouse. The first is an interesting picture of the lighthouse, with a late fall sun angle. The … Continue reading "CURRENT SCENES OF GRAND MARAIS: December 2007"
With the very busy August, I did not get out into nature to take any photographs. Thus, this month’s scenes were taken at the Grand Marais Music and Arts Festival. I must admit, that this year’s festival was one of the best in recent years. Other than a few raindrops on Saturday and some wind … Continue reading "CURRENT SCENES OF GRAND MARAIS: August 2007"
The July 4th Holiday in Grand Marais was another Gem. Since I did participate in the parade again, this year riding my bike wearing the bear coat (rather than walking), I don’t get much of a chance to see the other participants. Before it began, though, I took this picture of the Bennett clan. On … Continue reading "CURRENT SCENES OF GRAND MARAIS: July 2007 Scenes"
My friends have learned that in July and August, I am busy with the museum, thus, not allowing time to go camping and hiking. Also, the best time to “do Grand Marais,” as we locals call it, is in the spring and the fall. The visit from my friends Marsha and Denise provided an opportunity … Continue reading "CURRENT SCENES OF GRAND MARAIS: June 2007 Scenes"